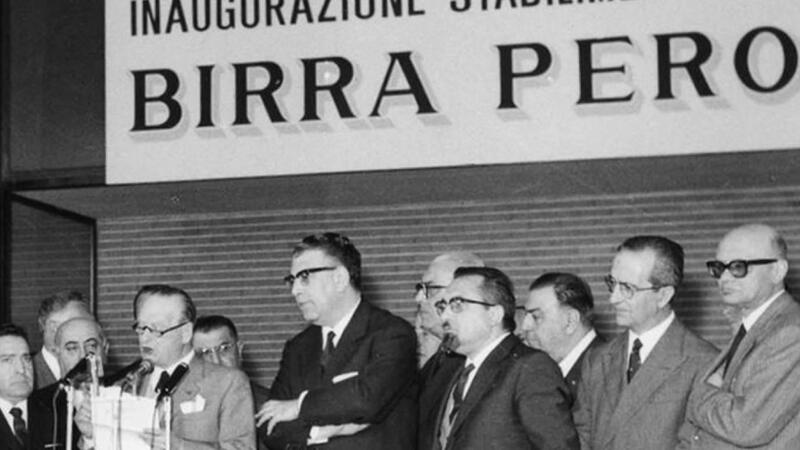 In Rome, 1963, Birra Peroni first brewed what was to become their greatest and most famous export: Peroni Nastro Azzurro. Created to reflect the emergence of Italian luxury in fashion and design, it was designed with the sharp, sophisticated beer drinker in mind. Peroni Nastro Azzurro is gently brewed to give an intensely crisp, refreshing taste with that unmistakable touch of Italian style. In order to achieve a crisp and refreshing taste for the Mediterranean palate, the Peroni family added ¼ of Italian maize to the original recipe, creating a unique blend of ¾ barley and ¼ Italian maize. 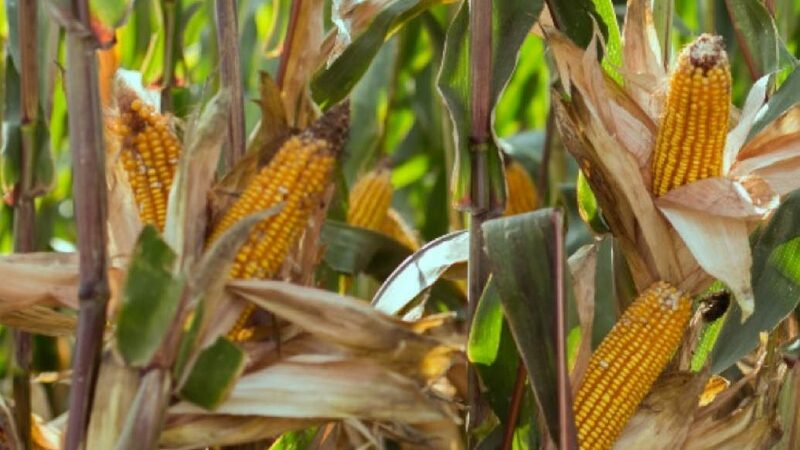 The Italian maize blend is a unique, exclusive variety: the Nostrano Dell’Isola. Using such high quality maize is what gives Peroni Nastro Azzurro its distinctive, crisp, and refreshing taste. Peroni Nastro Azzurro is made with two-row, spring planted barley. Planted in the spring and in rows of two, meaning there is plenty of distance in between the crops, resulting in the finest quality yield.These characteristics of the barley contribute to the final quality of Peroni Nastro Azzurro by delivering a clearer liquid. The water used in the production of Peroni Nastro Azzurro is tasted and analysed by the Master Brewer daily to ensure it is of the highest quality, purity and softness with low carbonates. 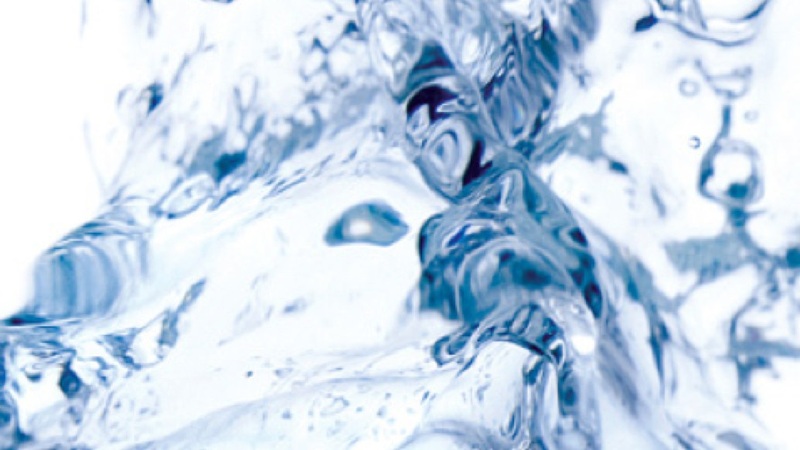 Water plays a fundamental role as it makes up a large proportion of the beer so the standard set for our water is high. A range of new interpretations of Peroni Nastro Azzurro. Inspired by the brand, its heritage and the Peroni family’s philosophy, each element of the collection has been created with Italian passion, craftsmanship and attention to detail. Peroni Nastro Azzurro enjoys a distinctive, crisp and refreshing taste with a notable citrus aroma and a pale, golden colour reminiscent of Prosecco. 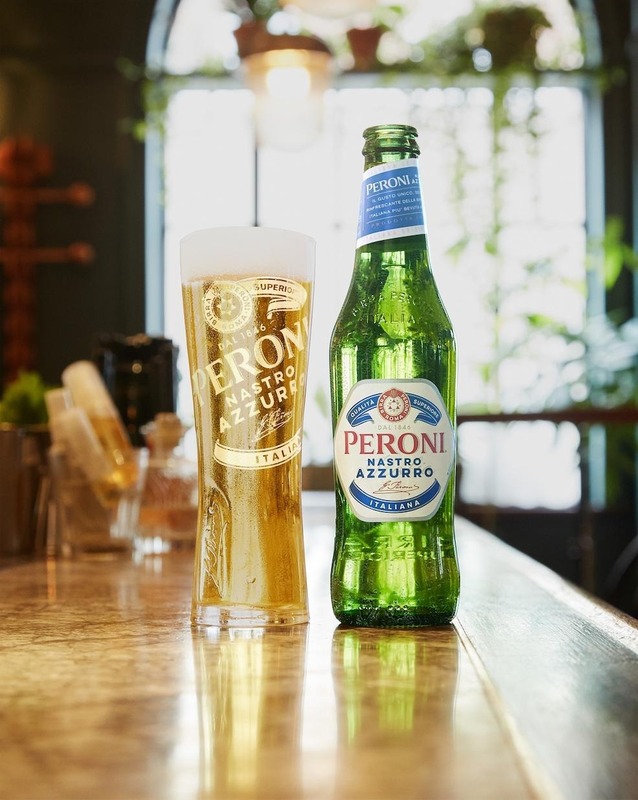 Peroni Nastro Azzurro has been brewed with the same quality, attention to detail and craftsmanship since 1963 and has turned it into the number 1 Super Premium lager in UK. Today, it’s served in the most stylish bars and restaurants worldwide. Peroni Nastro Azzurro has just launched its first alcohol-free beer, Peroni Libera 0.0%, with a rich and intense flavour of fresh citrusy hops. Peroni Libera, meaning ‘free’ in Italian, empowers loyal Peroni Nastro Azzurro consumers and beyond, with the freedom and choice within their busy lifestyles, to opt for a 0% to add a touch of Italian style, without the alcohol and without the compromise on the great taste or occasion. Using years of expertise and skill, Peroni Libera 0.0% is a light-bodied 0% beer, meticulously brewed with the same Peroni craftsmanship, passion and flair. The taste is described as: a rich and intense aroma of flavours where citrusy and hoppy notes are followed by a delicate fruity aroma. 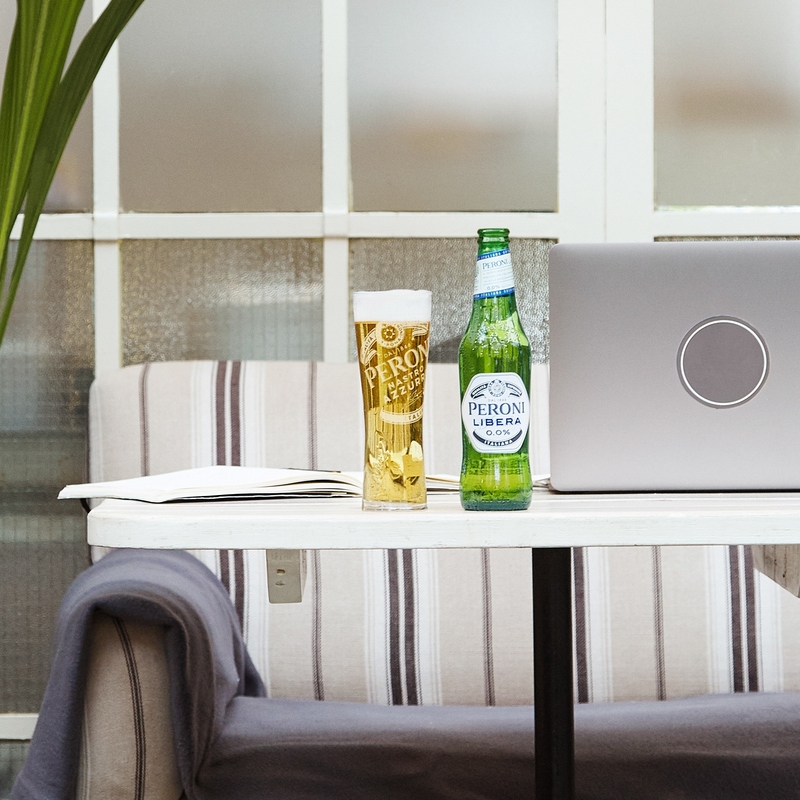 Peroni Libera 0.0% is already available in both Tesco’s stores and e-commerce platform. Peroni Nastro Azzurro’s Italian brew masters have perfected a new gluten-free recipe for Italy’s most iconic beer – without compromising on taste. Peroni Nastro Azzurro Gluten Free has the same crisp and refreshing taste with a notable citrus aroma as Peroni Nastro Azzurro. 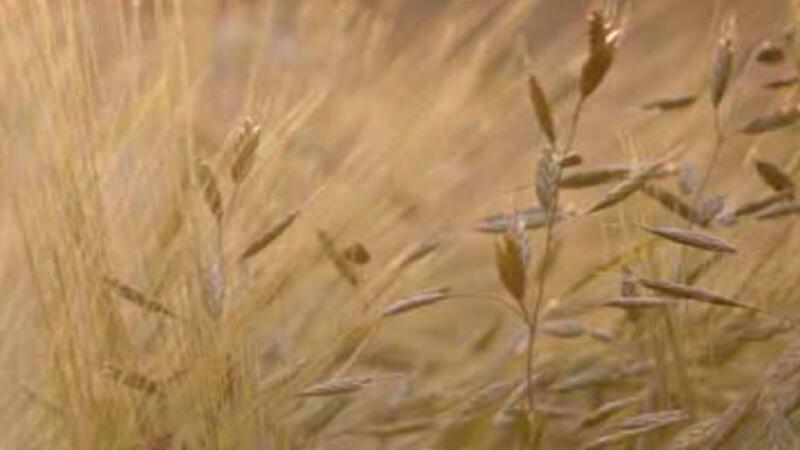 The gluten-free beer uses exactly the same ingredients as the regular Peroni Nastro Azzurro, including barley. A specific enzyme is added at the end of the brewing process which removes the gluten, ensuring Peroni Nastro Azzurro Gluten Free can be enjoyed by coeliacs or those choosing to lead a gluten-free lifestyle. Peroni Nastro Azzurro Gluten Free has been endorsed by the Italian Coeliac Association. Piccola is the very first new bottle innovation from Peroni Nastro Azzurro since 1963. Created for those special nights where style, taste and enjoyment are paramount, Piccola provides the perfect bottle to stand out in a crowd or as the perfect accompaniment for aperitivo. The rich history behind Peroni Nastro Azzurro, from its inception in 1963, to its current impact on style across the globe. 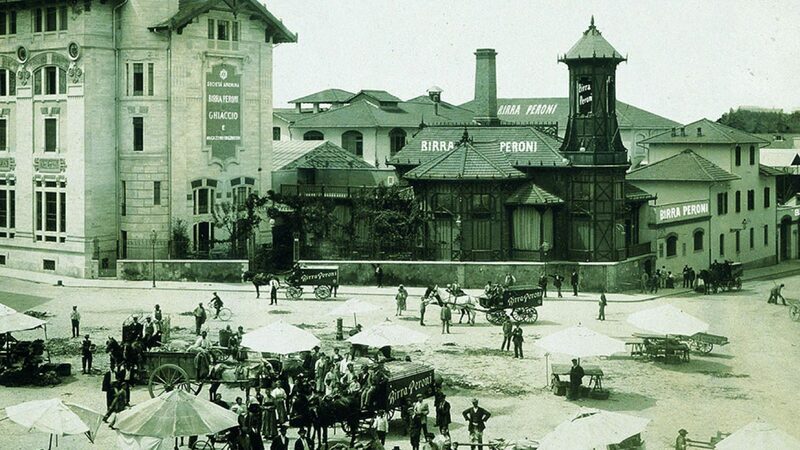 Francesco Peroni established his first brewery in Vigevano, in Pavia province. It was called Birra Peroni and still bears the founder’s name to this day. It was a combination of climate, close proximity to the mountains – where ice and glacial water was plentiful – and the quality of ingredients that helped Francesco create such a distinctive pale, medium-strength beer that within a short time had become vastly popular. Due to extremely high demand, a second brewery was built in Rome and Francesco’s son, Giovanni, took over the running of the new branch. Eight years later, Peroni headquarters officially transferred to the capital city. 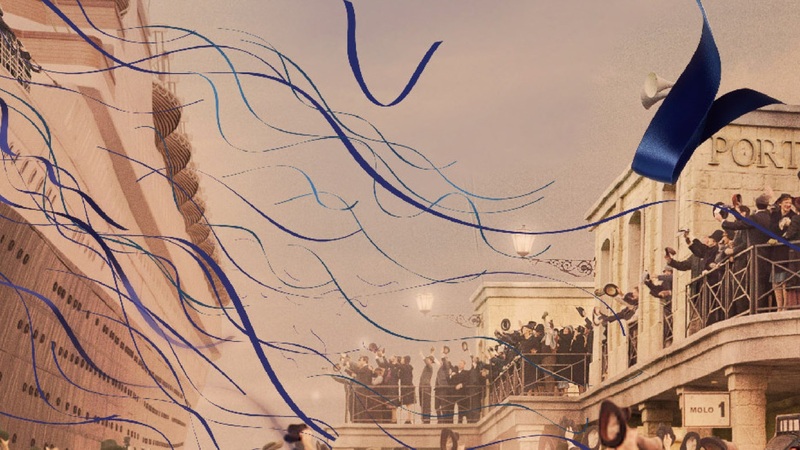 Over the next 70 years, the business went from strength to strength to become the biggest brewery in Italy. Luxury Italian liner SS Rex won the coveted ‘Blue Riband’ (‘Nastro Azzurro’ in Italian), a prize awarded for the fastest crossing of the Atlantic by passenger liners. Since then, the SS Rex has become a symbol of national pride, inspiring the name of Peroni Nastro Azzurro 30 years later. In this decade the Italian economy entered an exceptional period of growth that continued over the next few years. One of the traits of the ‘quiet’ revolution’ was an increase in consumption. During this economic boom there was a sudden rise of people moving into urban areas. Italians wanted to be in the big cities, Rome in particular. This shift radically altered the fabric of Italian society and it was in the second half of this decade that Birra Peroni started its phenomenal growth. Post war, modern Italian creativity met the industrial world and the two blossomed into the economic boom. Italian style beguiled the international jet setters, including powerful politicians and wealthy royals, as well as A-list actors. They converged on Italy to savour la dolce vita (the sweet life). This was the era and place that saw the birth of many iconic Italian brands. 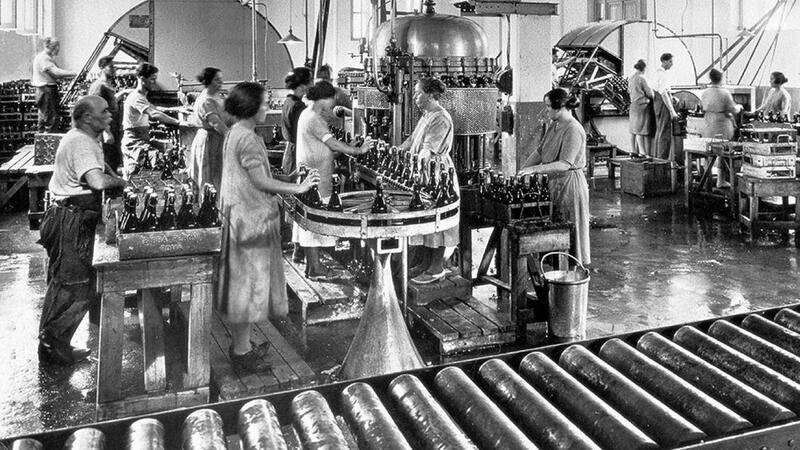 Inspiration to create the first premium Italian beer came to the Peroni family through a unique combination of the triumphant SS Rex, (which won the ‘Blue Riband’ award in 1933), the cultural richness of living in Rome and the feeling of optimism and creativity that epitomised the 1960s. Like the SS Rex, the brand was created with the vision of becoming a symbol of Italian excellence and superior craftsmanship. 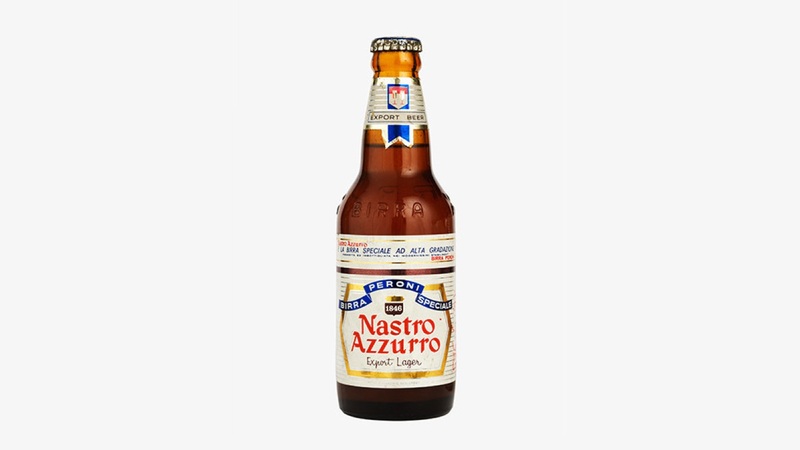 The beer was intended for a more discerning consumer group with its unique Italian taste. The brand was re-launched internationally. 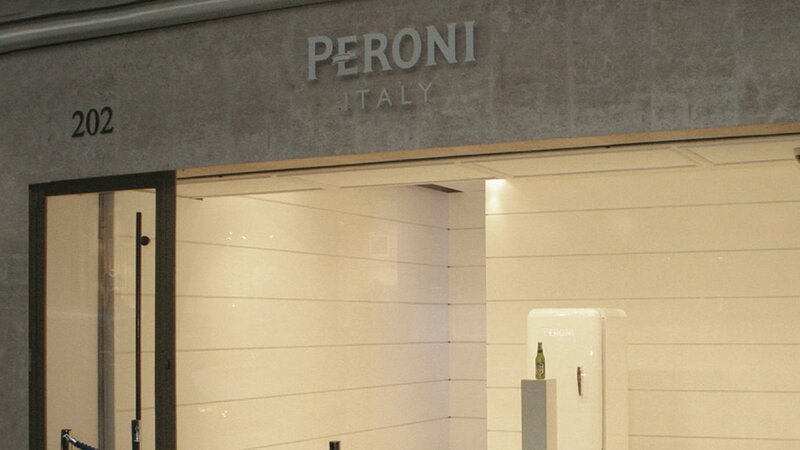 Peroni Nastro Azzurro made shopping history when it opened ‘Emporio Peroni’, a minimalist boutique. Situated on one of the world’s most stylish thoroughfares, Sloane Street in London, it sat comfortably alongside other leading Italian fashion brands. Passion, creativity and authenticity are still at the core of Peroni Nastro Azzurro, now savoured in more than 70 countries worldwide.